Sentence-based extractive summarization aims at automatically generating shorter versions of texts by extracting from them the minimal set of sentences that are necessary and sufficient to cover their content. Providing effective solutions to this task would allow the users to save time in selecting the most appropriate documents to read for satisfying their information needs or for supporting their decision-making tasks. 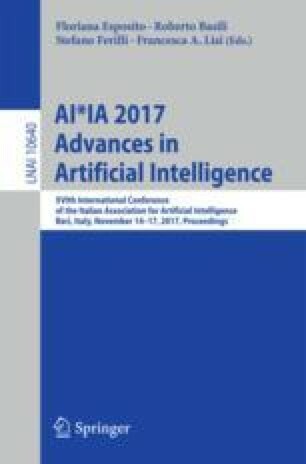 This paper proposes 2 contributions: (i) it defines a novel approach, based on abstract argumentation, to select the sentences in a text that are to be included in the summary; (ii) it proposes a new strategy for similarity assessment among sentences, adopting a different similarity measure than those traditionally exploited in the literature. The effectiveness of the proposed approach was confirmed by experimental results obtained on the English subset of the benchmark MultiLing2015 dataset. This work was partially funded by the Italian PON 2007-2013 project PON02_00563_3489339 ‘Puglia@Service’.